Eyes on the Rise and other cool stuff. Taylor wasn’t quite speaking in Comic Sans there, but closer than he had to be. It is well understood by now that, in the NBA in 2014, if you have LeBron James you are going to win a bunch of games. You’re going to make a deep playoff run. You might win a championship. How then, can Love prove that he has any effect? It will be difficult and it will probably require bigtime performances in big playoff games. While this is not exactly what Taylor said, I think he would agree with what I’m saying right here. Had Love gone to a different team — one that was still good, like Golden State, but did not have LeBron on it — he would have a better opportunity to boost his “legacy” for whatever that is worth. And in Love’s case, I think the impression that many have — certainly Taylor included — is that legacy and individual recognition are important to him. 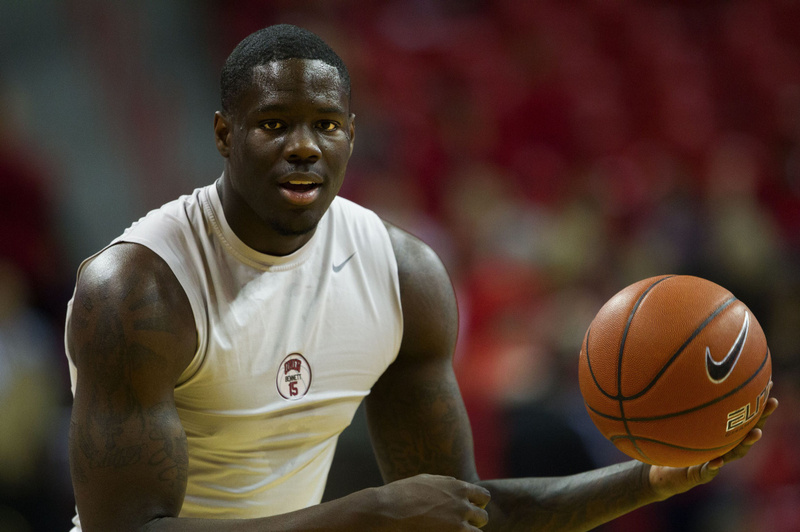 New Timberwolves forward, Anthony Bennett, as a freshman at UNLV. He gained a lot of weight after shoulder surgery before his rookie NBA season, but appeared better conditioned this summer in the Vegas League. Patrick J: So Flip Saunders went and did the impossible, turning a depressing Kevin Love trade situation into an extremely exciting one that netted the Wolves the last two number one overall picks in the NBA Draft, Andrew Wiggins and Anthony Bennett. It was inevitable that the Wolves would have to trade Love. He wasn’t re-signing in Minnesota and the Wolves couldn’t let him walk away and get nothing in return. It was not inevitable that the Wolves’ take from a Love trade would be a good one. The Warriors offered David Lee and Harrison Barnes, but refused to include Klay Thompson in any trade for Love. The Bulls reportedly offered Nikola Mirotic and reserve defensive stopper Taj Gibson for Love. Those would’ve been pretty terrible deals for Minnesota. Getting a prospect with as much realizable potential as Andrew Wiggins at least gives the Wolves a chance at recouping the value they were going to lose anyway when Love departed Minnesota.